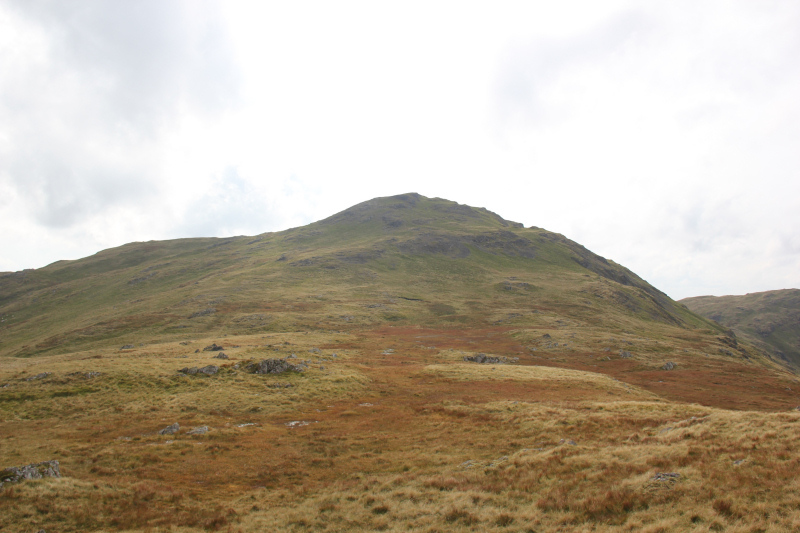 Having visited Glen Trool yesterday to ascend Benyellary, Merrick, Mullwharchar, Dungeon Hill and Craignaw, we returned to Glen Trool today to ascend Lamachan Hill, Larg Hill and Curleywee. Glen Trool is a really nice area. 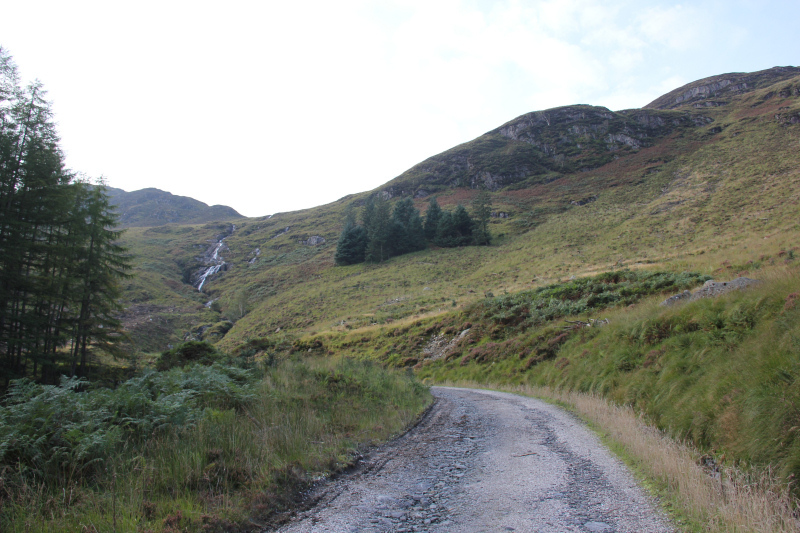 We parked at the far end of Glen Trool and set off along the track towards Buchan and Glenhead. 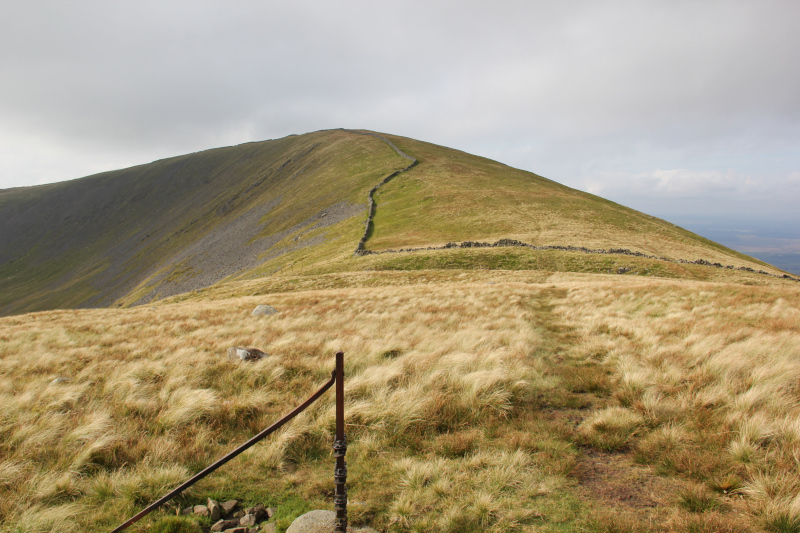 It is never ideal to set off downhill when you want to ascend a hill. 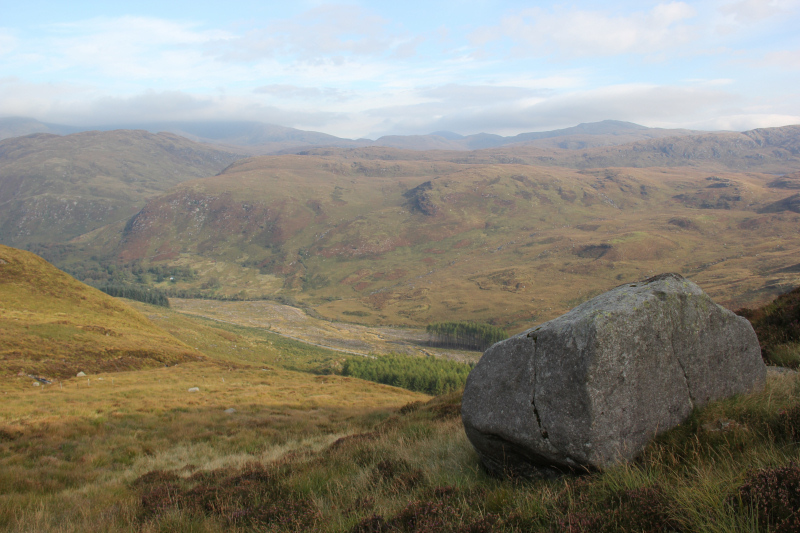 However, the track towards Glenhead was really pleasant, especially at the oak wood area. 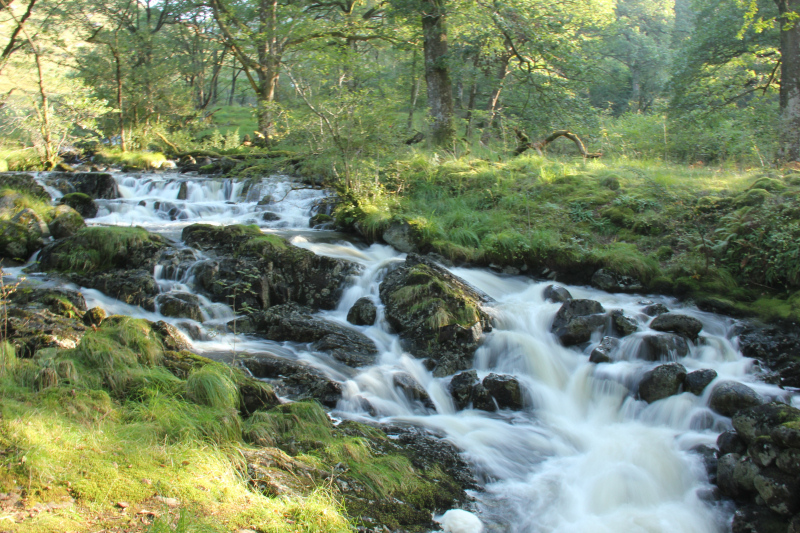 I stopped at the oak wood to take some photos of the nice waterfalls. 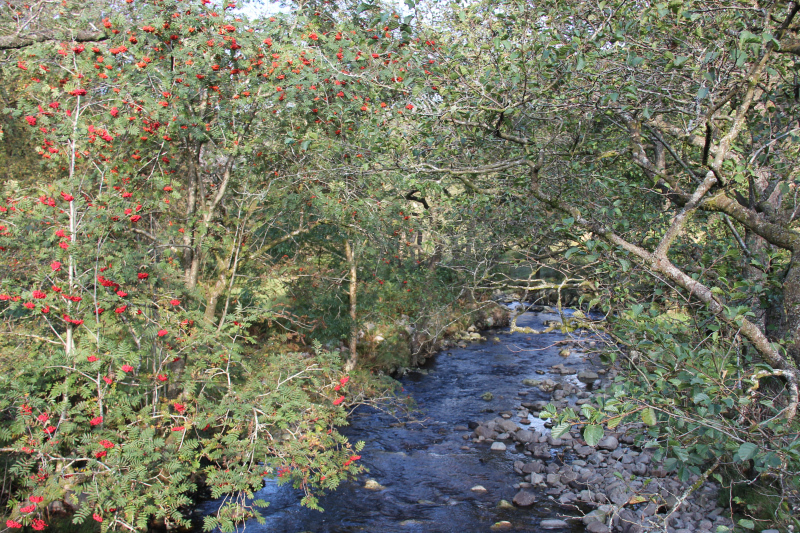 A short distance beyond the oak wood, we reached Glenhead and the nice Glenhead burn. 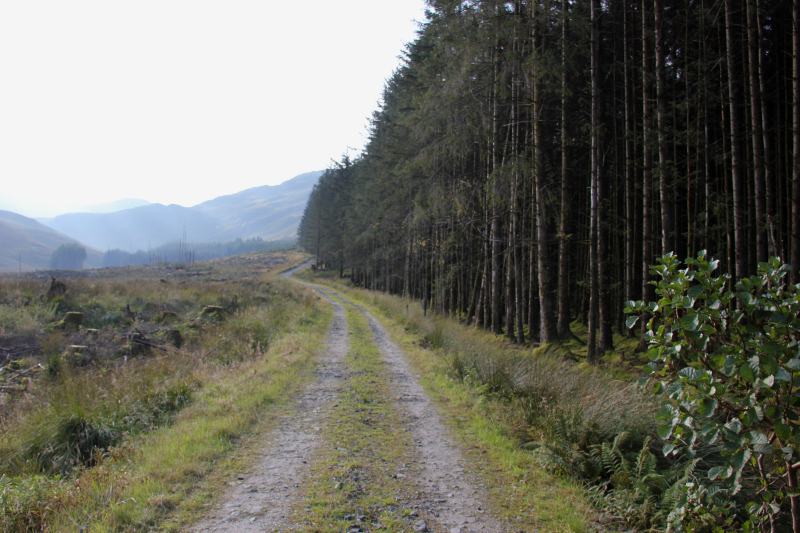 We then followed the wide track (Seven Stanes Cycle track) as far as the Shiel burn. 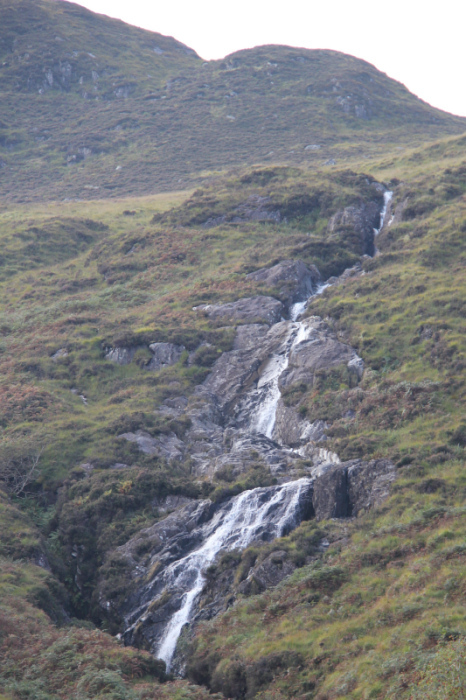 Twenty metres or so beyond the Shiel burn, we took to the hillside. The ascent was really unpleasant. 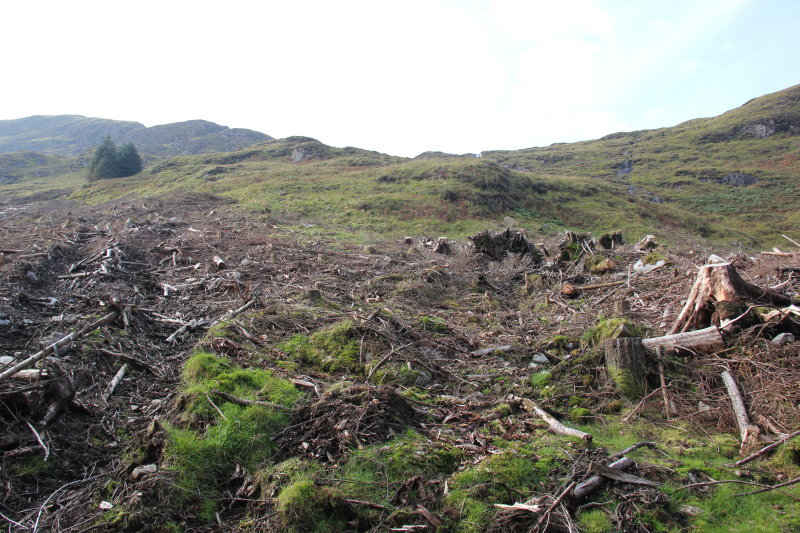 Initially, up through an area of felled trees and then up through steep knee-to-thigh deep tussocks. 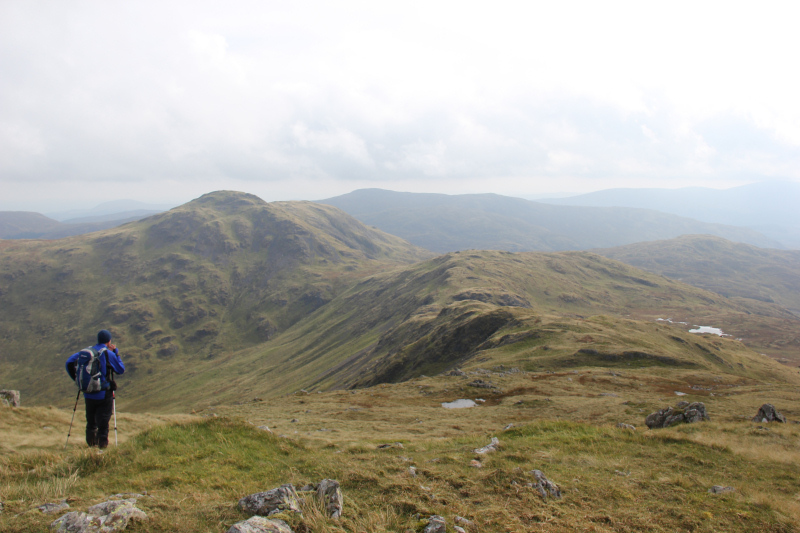 This ascent might be more pleasant in Winter. After circa 200m of steep ascent, we had a short break to rehydrate. 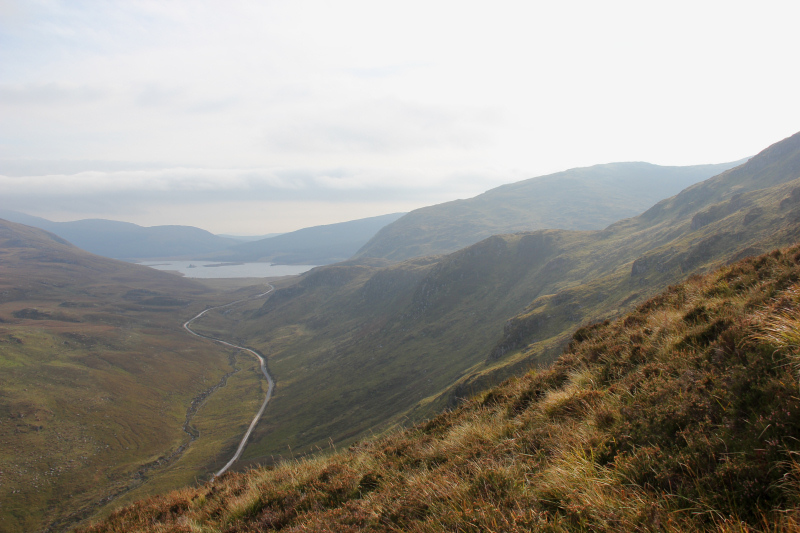 We then ascended the ridge to the East of the Shiel burn leading to the col between Bennanbrack and Lamachan Hill. It was a relief to reach the summit of Lamachan Hill. 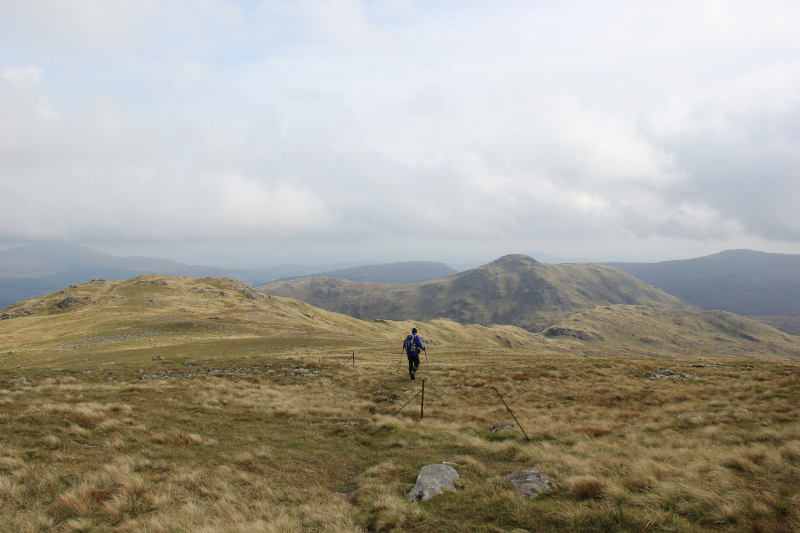 Having walked the two days previous, I felt knackered. I must be getting old! At the summit, we stopped to take numerous photos. This was John’s 200th Graham. 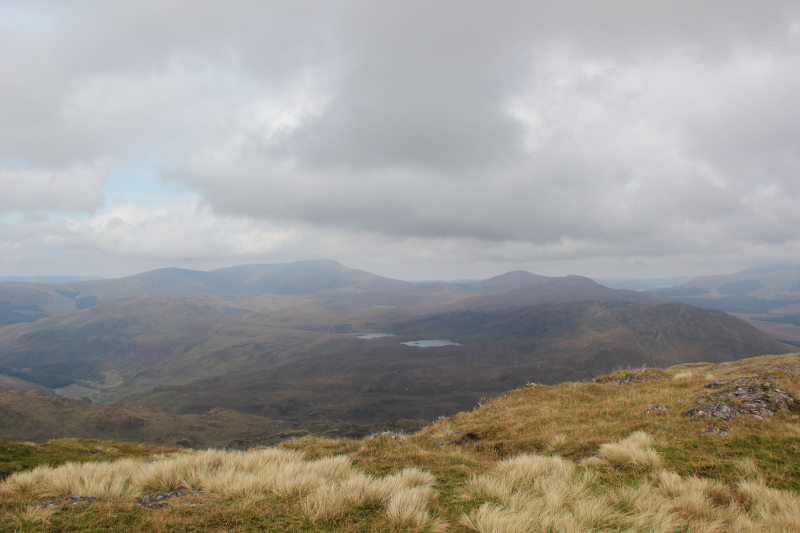 From Lamachan Hill, we made our way across to Larg Hill. 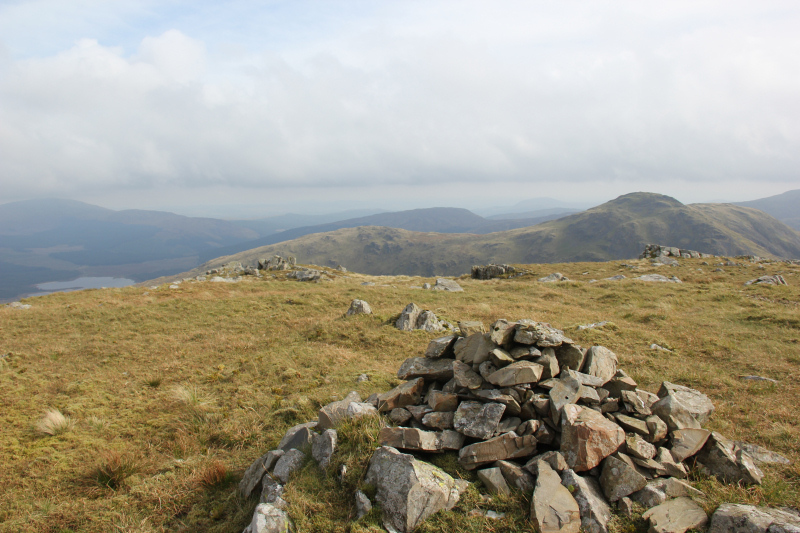 From the col, we followed the dry-stane dyke up to the large cairn and beyond a further 50m or so to the small cairn, which is the actual summit. 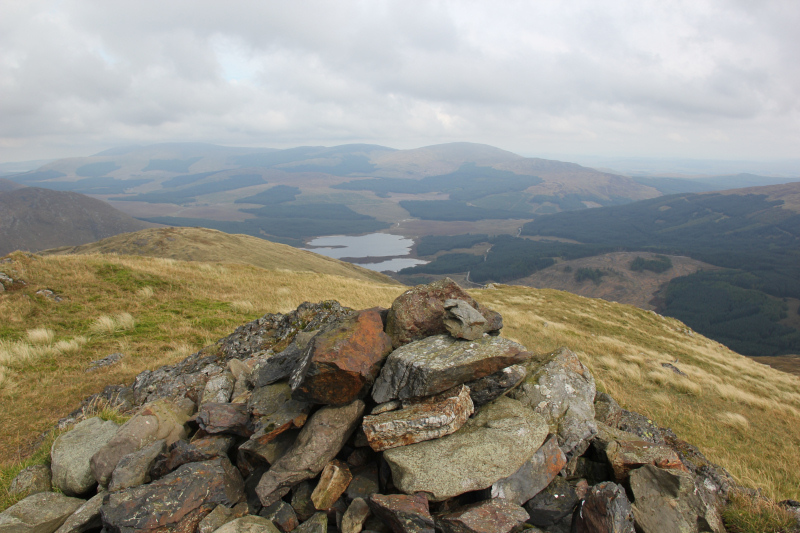 From Larg Hill, we had to retrace our steps back to the col and re-ascend to the summit of Lamachan Hill. 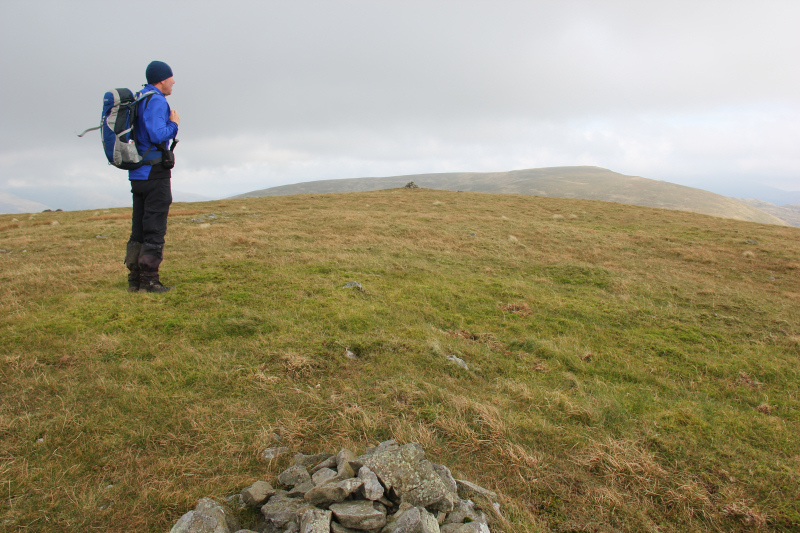 This time we didn’t stop at the summit of Lamachan Hill but instead carried on towards the next bump on the ridge, Bennanbrack. 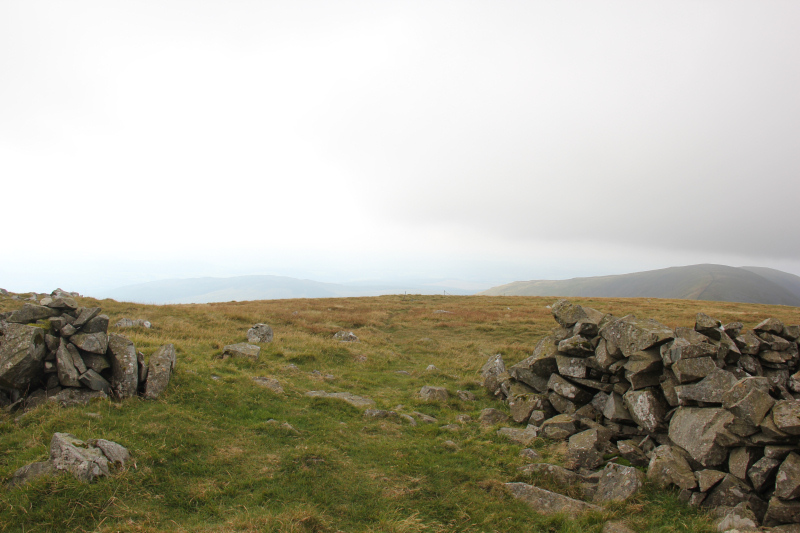 After ascending to the top of Bennanbrack, we continued on along a nice ridge towards the col between Lamachan Hill and Curleywee. We skirted below the rocky section in the next photo. From a distance, Curleywee looked a big steep hill. 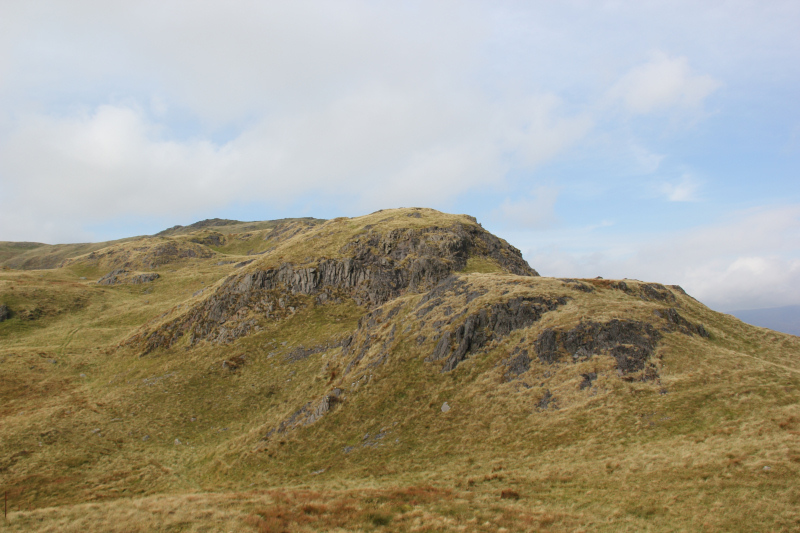 However, as we got closer it seemed to become much smaller and was easy enough to ascent. 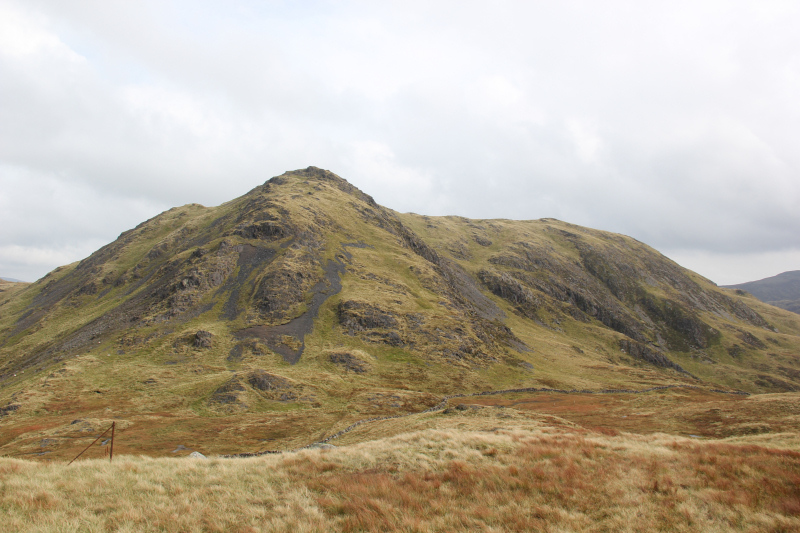 During the ascent, I walked up some black scree – possibly coal/anthracite? It was nice to reach the summit of Curleywee. Curleywee was the nicest hill of the three. 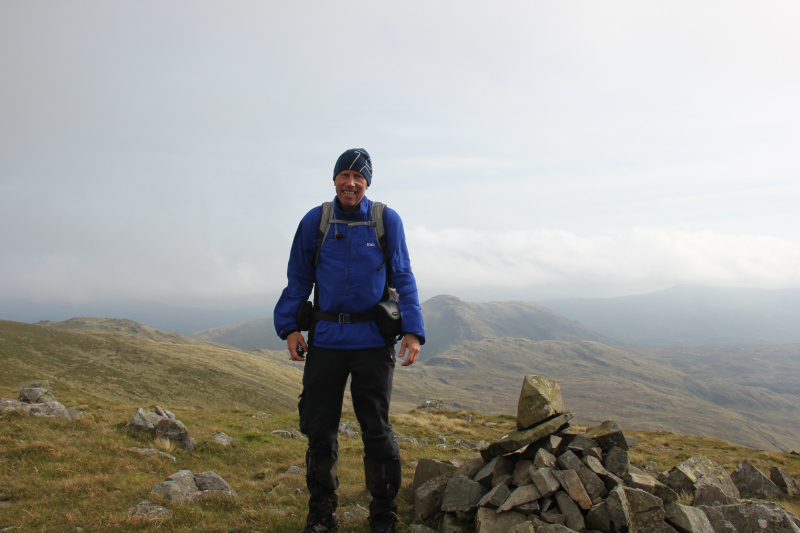 At the summit, we had a brief chat about where to go next. 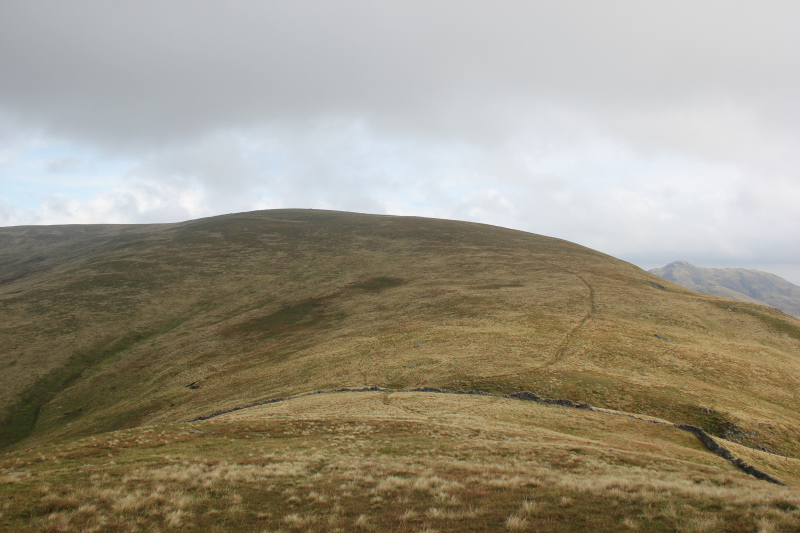 We ruled out also ascending Millfore as it was today ‘a hill too far’. 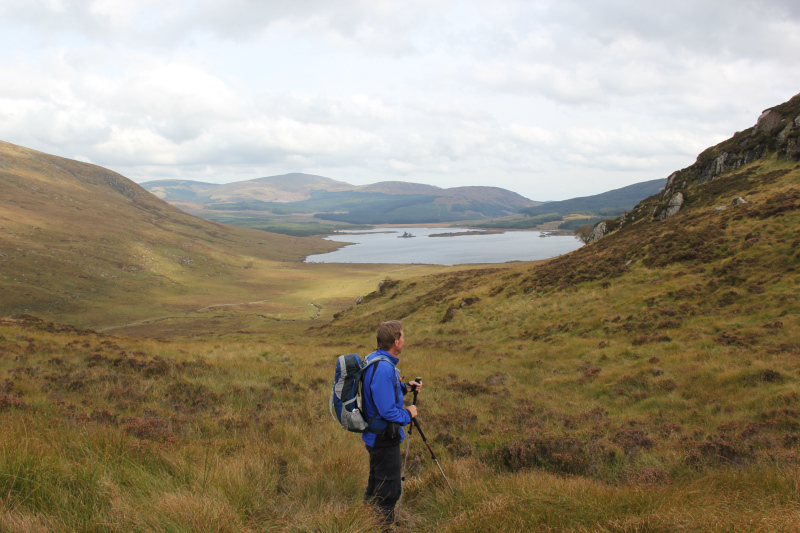 We also decided to leave a visit to White Laggan until later on this week, when we will hopefully come back to ascend Millfore. 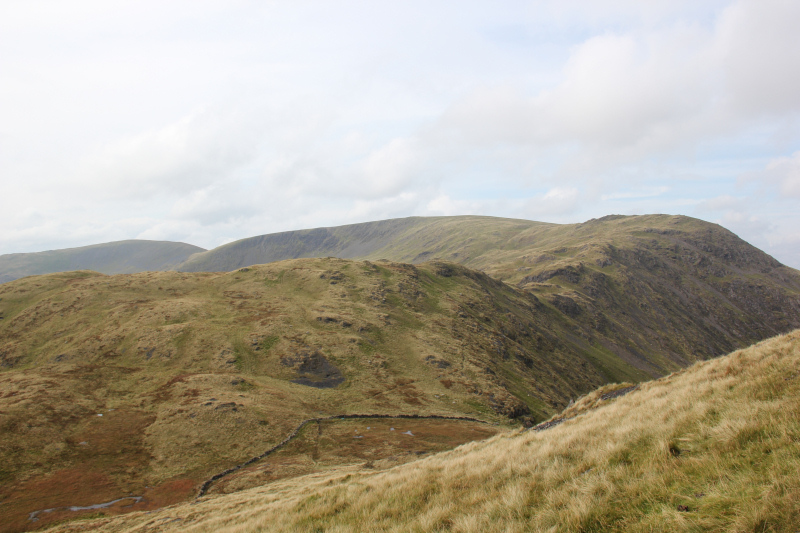 We decided to descend towards White Hill. After ascending to the top of White Hill, we found a winding ATV track which we followed all the way back to the main track. It was great that we found this track. 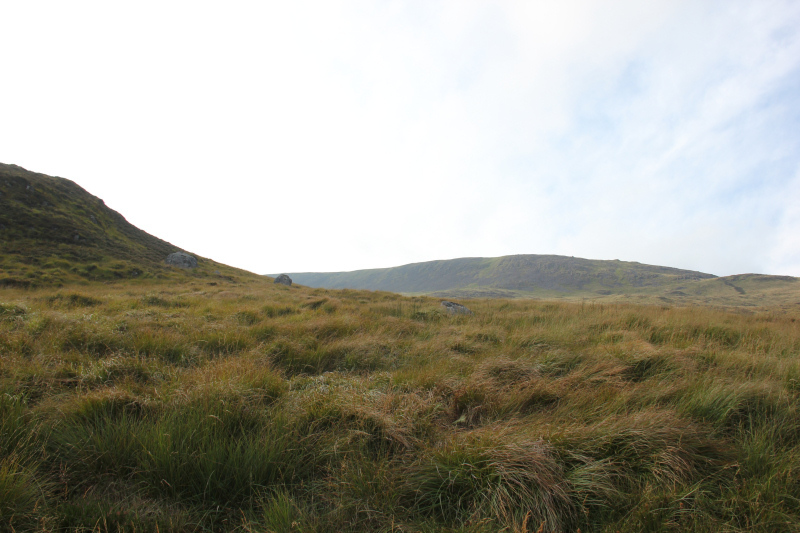 The alternative, down steep tussocks, would have been quite unpleasant. 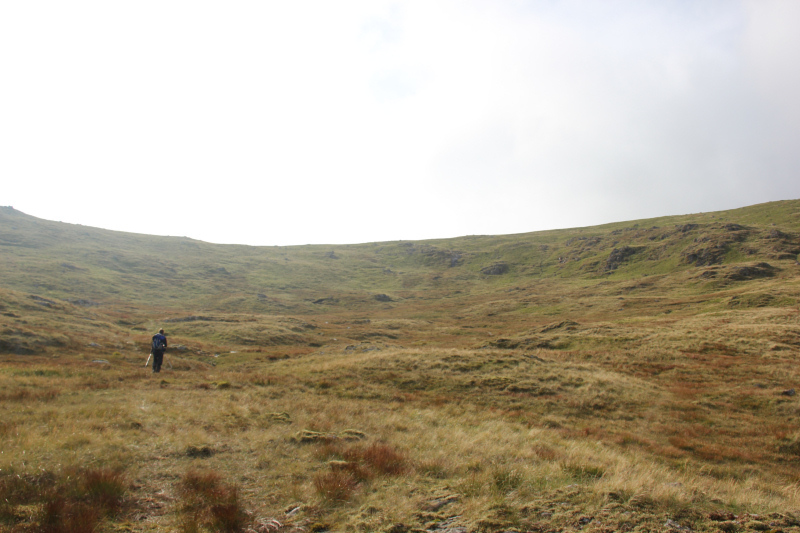 On reaching the large track, we followed it for circa 6km back to Glen Trool. 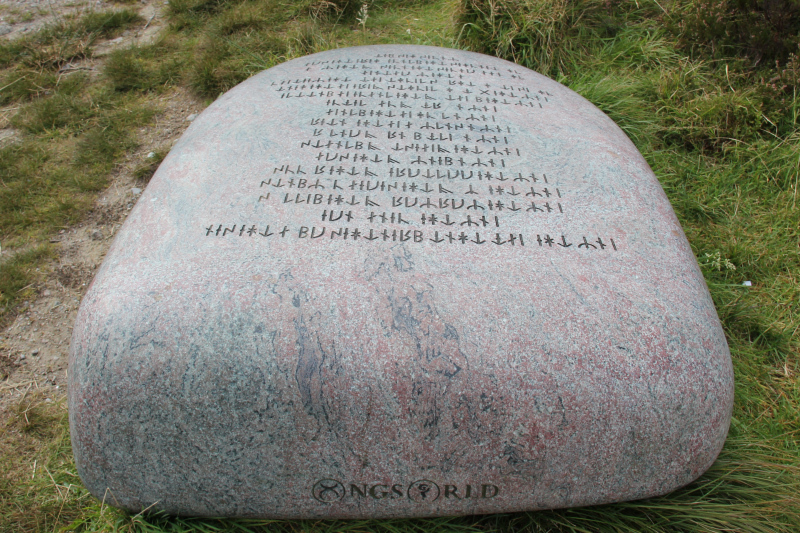 While walking back, we noticed a really large polished stone on the track with some kind of runes on it. No idea what it is about or why it is there. Another good day out .